Use these PCR systems for PCR preparation and amplification and microbial research. UVP™ UK-plug HEPA UV3 PCR Workstations bring together UV irradiation and antimicrobial metal surfaces to create a dual-attack environment against PCR contamination. 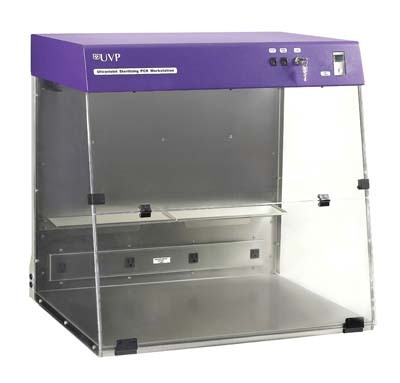 UVP offer a range of PCR* workstations and cabinets to sterilise between experiments and control cross contamination.